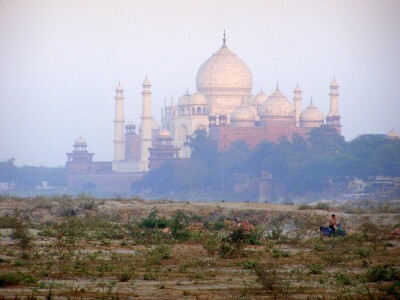 When I visited the Taj Mahal in Agra, one of the World Heritage Sites designated by Unesco, it was distressing to see the smog of air pollution obscuring the monument during the day but also slowly causing inexorable damage to the facade. Situations like this are the reason why in 1972 Unesco established the World Heritage Convention (to which 190 states have signed up) with the aim of preserving sites that are part of the cultural and natural heritage of the world. In other words of all of us. The list of Unesco World Heritage Sites – currently 962 properties – also serves a useful sort of bucket list for travel junkies like myself. I’ve visted just over 100 World Heritage Sites so have a lot of work to do. And Unesco keeps adding more each year. Which just goes to show what a wonderful place the world is and how worth conserving. 1. The exquisite Taj Mahal, whether a symbol of eternal love or overweening vanity, is the jewel in the crown of India’s many World Heritage Sites. 2. 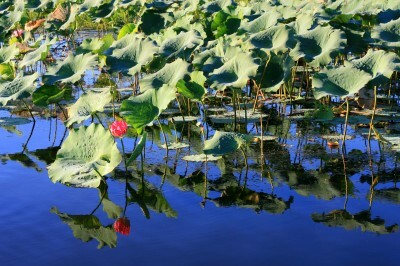 Kakadu National Park in Australia’s wild ‘Top End’ teems with life in both the wet and dry seasons. 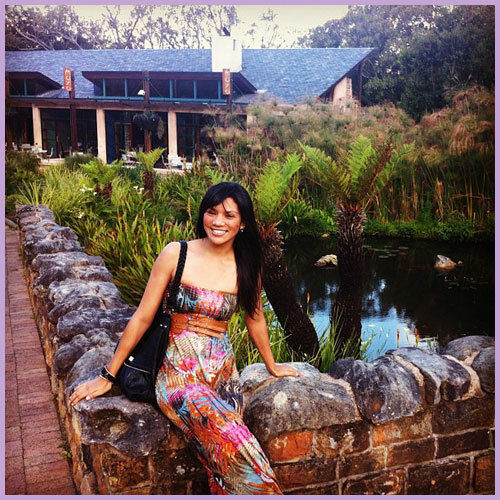 From the wildlife to the Aboriginal rock art to the waterlilies to the waterholes, I loved it all. 3. 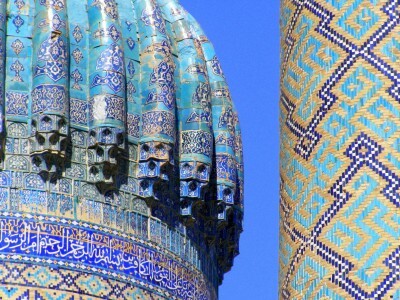 The exotic Silk Road cities of Samarkand and Bukhara in Uzbekistan provide ample material for history buffs. Being able to walk where Alexander the Great feasted, Genghis Khan destroyed and Tamberlaine rebuilt and reigned is truly the stuff of poetry and legend. 5. I adored travelling in Cuba and both the city of Old Havana and the colonial outpost of Trinidad captured my romantic spirit. 4. Cambodia’s ancient Khmer kingdom left outstanding records of its might in the complex of temples spread across miles of jungle at Angkor. 6. Egypt is a treasure trove of World Heritage Sites and it is difficult to choose between historic Cairo, Ancient Thebes with its necropolis – the ‘Valley of the Kings’ – and the Pyramid Fields from Giza to Dahshur. 7. 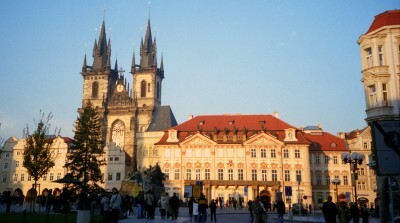 In eastern Europe there are many beautiful and unspoilt historic towns and cities but the gem of them all has to be Prague in the Czech Republic. 8. Athens is a wonderful city to explore and seeing it from the clifftop where the ancient Acropolis is mind blowing. 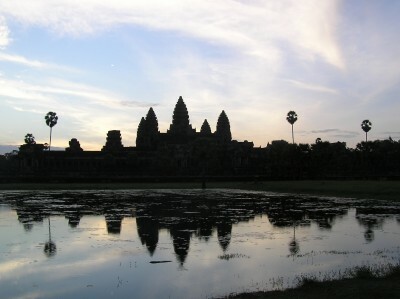 And which Unesco World Heritage Sites are on my list of world travel dreams for the next year or two? While I’m still in Australia I’d love to experience the Great Barrier Reef – before it is further damaged by climate change – and the Gondwana rainforests. As the magnificent Daintree Rainforest is also in Queensland I should be able to tick off both of these with one trip. In January I am heading to China for a week to see the eerily beautiful Karst landscapes of southern China, another Unesco World Heritage Site. There is also an established rock climbing scene here so I hope the winter weather will cooperate and allow me to scale some of the karst crags. Other China World Heritage Sites that are high on my world travel dreams list include the Great Wall and the imperial sites of Beijing but they will have to wait until a subsequent visit. In France I’d love to go wine tasting in the jurisdiction of Saint-Emilion. Well who wouldn’t? I would like to return to Greece (again and again) and explore more of the mainland, including the Archaeological Sites of Delphi and Olympus. I have not yet ventured into the Middle East and although the region continues to suffer heartbreaking political strife I would feel I had gone a long way towards achieving my world travel dreams if I could see the Old City and walls of Jerusalem in Israel and the ancient ruined city of Petra in Jorda. Ah the list could go on and on, as do world travel dreams… Are there any you have visited that you would like to recommend to me? ?